Lexington, Ky. – The prestigious United States Dressage Federation’s (USDF) US Dressage Finals presented by Adequan are set to begin at the beautiful Kentucky Horse Park from November 9 through 12. Top dressage competitors from across the country will compete on a national stage, in an event that showcases adult amateurs and open division competitors from Training Level through Grand Prix. More than 390 entries will represent nine of the USDF regions from 38 states, plus the District of Columbia, at the fifth annual event. Vying for 30 titles across the divisions, competitors will head down the centerline looking to earn the title of National Champion. Additionally, riders can cheer on their fellow regional members as they compete for the Third Annual Regions Cup Team Competition. With a regional team of three athlete/horse combinations representing each USDF region, competitors can show their regional pride and compete for bragging rights as the top-scoring eligible athlete/horse combination from Training/First Level and FEI-level Regional Championship classes. The highest-scoring eligible adult amateur athlete/horse combination from the Second through Fourth Level Regional Championship classes complete each regional team. Complete daily schedules and ride times are now available online. View the full prize list here. The 2016 results and recaps are also available. USEF Network will stream live coverage of the 2017 US Dressage Finals presented by Adequan® beginning at 8:00 a.m. EST on Thursday, November 9. Follow USDF on Facebook, Twitter, and Instagram for live updates from the event. Keep up with the 2017 US Dressage Finals presented by Adequan® on Facebook (@USequestrian, @USEFNetwork, and @USADressage), Instagram, and Twitter (@USequestrian and @USEFNetwork) for all the latest from the ring. 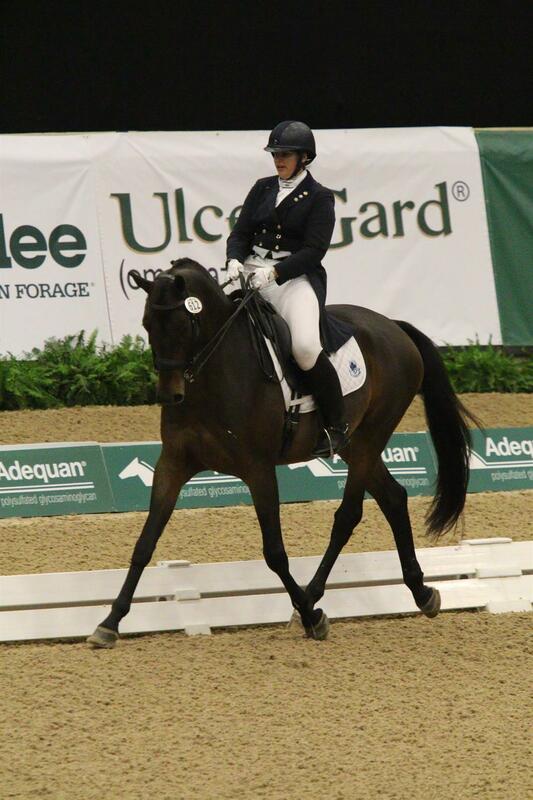 This entry was posted in FEI & USEF Dressage News, News and Announcements on November 10, 2017 by ludlumfarms.